Breakfast at hotel, in time transfer to airport for morning flight to Bangalore. On arrival meet and assistance. Drive to Mysore. Two and half hours drive. On arrival check in your hotel, later enjoy sightseeing tour of Mysore, One can visit the exotically beautiful Brindaban gardens and the historic and ornately decorated Mysore palace, too as part of the whole tour. The day ends with an overnight at Hotel. In the morning drive to the Nagarhole national park, sharing its boundaries with Bandipur National Park, Nagarhole National Park is situated 90km away from Mysore in Karnataka. Interestingly, these two sanctuaries for a part of Mudumalai Sanctuary in Tamil Nadu and Wayanad Reserve in Kerala. Nagarhole is a tiger's home and some of the rare wild species of India. This national park of India gets irrigated by the waters of Kabini river, which has a dam on it that separates Nagarhole from other sanctuaries in the surrounding area. A wildlife trip on the afternoon jeep safari trip is followed by an overnight at Hotel. Early morning wildlife tours and bird screening in the park or a Coracle ride on the Kabini River are the engagements which kick start an eventful day 5 of the tour. Enjoy an evening jeep ride or an Elephant ride into the Nagarhole jungle with the day culminating with an overnight at Hotel. Breakfast at Hotel, drive to BR. Hills with an eventful and exciting trekking in B R Hills for witnessing the spectacular wildlife of the region. An overnight stay follows in the specially provided tents. The Biligirirangana Ranges of hills are picturesquely situated between the Cauvery & Kapila Rivers. At a height of 5,091 feet above sea level, this hill stretches from north to south for about 16 Kms. All rounds are deciduous trees. And roaming amidst the long grass and tall trees are animals. Plenty of them! So if you're looking for a cool time with a little bit of wild excitement thrown in, welcome to B.R.Hills. Wake up to the chirping of birds & humming of bees. Breathe in fresh, clean air. Take a stroll through the sylvan surroundings. And let the cool breeze blow your cares away. Another day of morning and evening wildlife viewing and strenuous bird watching. An overnight stay in the tents follows suit to round up the day's activities. Overnight at Hotel. Morning breakfast at Hotel, later drive to to Bandipur which is a 4 hour drive after devouring a hearty breakfast. A sumptuous lunch at the resort follows and the afternoon is spent inside the wildlife sanctuary in jeeps. Overnight stay at the resort follows suit after the daylong tete a tete with the wildlife of the region. Day includes within its schedule a round of morning and evening wildlife viewing and bird watching. The day ends with an overnight stay in the resort. An early morning drive to Ooty for a distance of 80 kilometers from Bandipur National Park begins the day. On arrival at Ooty in the afternoon check in your schedule hotel and for the rest of the day you can spend at your own discretion. Overnight at hotel. On day 11, the tourists move towards the legendary hill station, which is also the spice capital of Kerala, Munnar. A trip to Eravikulam national park will consume the rest of the day for a weary tourist with a subsequent overnight stay in the local resort, ending the day. A morning visit to the national park for wildlife sights will include a drive to Periyar in the afternoon which happens to be a run of 3 hours. A preplanned overnight stay in the locally available resort will round off the day. The Periyar National Park and Tiger Reserve is situated high in the ranges of the Western Ghats, in south Indian state of Kerala - known as the God’s Own Country. Periyar wildlife sanctuary in Kerala has a scenic lake at the heart of the sanctuary. Formed with the building of a dam in 1895, this reservoir runs around the contours of the wooded hills, providing water to the local wildlife through out the year. Though Periyar Kerala is a Tiger Reserve, tourists visit this place to view the Indian elephants in the act of sprinkling water and playfulness by the Periyar lake. Rest of the day at leisure. Overnight at Hotel. A morning and evening boat cruise is the star attraction of the sanctuary with the whole concoction being made too good to neglect as one is witness to the regaling sight of wild elephants pleasing themselves in the lake or one can opt for the antics of the domestic and migratory birds, also. Overnight stay in the local hotel ends the day on a relaxing note. Breakfast at Hotel, drive to Kumarakom after a a long drive of 5 hours. Arrival at Kumarakom leads to the tourists spending the rest of the day at their own comfort. Overnight at Hotel. A gratifying backwater cruise coupled with an evening visit to the picturesque Kumarakom Bird Sanctuary is located 12km from Kottayam in Kerela. Among the finest bird sanctuaries in India, Kumarakom is situated on the banks of Vembanand Lake. 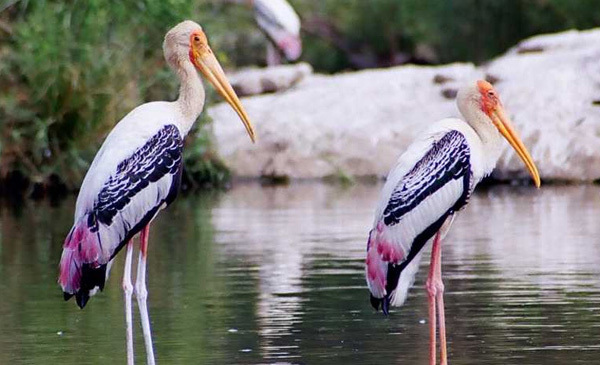 Well renowned for its avian population, Kumarakom offers a range of bird watching spots for avid bird watchers. Sprawling over a wide expanse of 101 acres, the enchanting wooded beauty of the sanctuary lures a large number of foreign visitors. Most interesting is the time when Siberian Cranes visit this sanctuary. Overnight at Hotel.